Nicholas Homes of Cambridge, Inc. 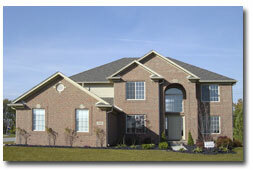 Welcome to Cambridge Meadows Subdivision located in Brownstown Twp. within the award winning Gibraltar School District. Nicholas Homes of Cambridge, Inc., a quality Michigan new home builder, offers this new home construction in Wayne County Michigan. Featuring 16 magnificent floor plans ranging from 1625 sq. ft. to 3100 sq. ft., with the option of purchasing a spec home already under construction or a custom built home tailored to your family's needs and personality. Cambridge Meadows is conveniently located within walking distance to Gibraltar schools high school and middle school. Plus we are located just short bike ride from the Lake Erie Metro Park, which boasts a full filled children’s water park, vast picnic areas, boating marina, golf course and wildlife sanctuary. Cambridge Meadows is conveniently located off the south side of Woodruff Rd., 1⁄2 mile west of Jefferson; just one mile south of Gibraltar Rd. and only minutes from I-75. Come visit us to see all that this community has to offer you and your family. Call for an appointment today!